Travel Bug had the *most* fun in 2018 when his humans took him on a tour of South Korea. While he was there, he discovered that Koreans don’t celebrate New Year at the same time he does. Instead of New Year’s Eve on December 31st and then New Year’s Day on January 1st, the Korean New Year is celebrated on the first day of the lunar calendar. In 2019, this falls on February 5th. Korean New Year is called Soellal and the festivities generally last for 3 days. 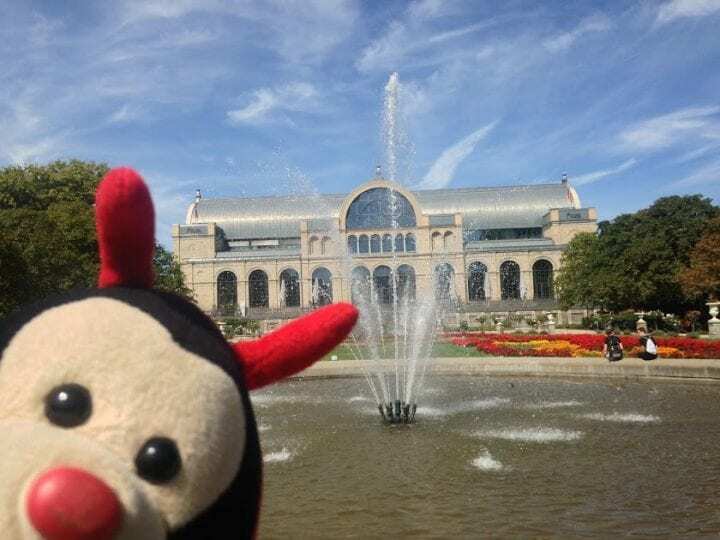 Travel Bug hit up the German cities of Dusseldorf and Cologne in 2018 and had a great time learning about history and eating pastries. On December 31st, Germany gets into the New Year spirit by lighting fireworks, drinking alcohol and partying. Germans often drink a sparkling wine called Sekt, which they use to clink their glasses. They wish each other a Happy New Year by saying ‘Prosit Neujahr’ to family and friends before partying the night away. Many Croatians believe that whatever you do on New Year’s Day, you will continue to do for the rest of the year. If you’re well behaved and happy on January 1st, this is a good sign. If you work really hard on NYD and fly into a wall because you’re hungover from too much bug wine the night before, then the next 12 months might be pretty rough. Travel Bug wanted you all to know that. Stay off the bug wine, folks. It’s an ancient tradition on New Year’s Day to wash your face in clean water with a coin and apple placed into the bowl. This represents health and wealth. Making huge jam doughnuts is also a New Year tradition as the rising of the dough symbolises rising fortunes. Travel Bug likes this idea very much. What fascinating facts about New Year do you have to share with Travel Bug? Happy New Year, friends! Feliz Ano Nuevo, amigos!